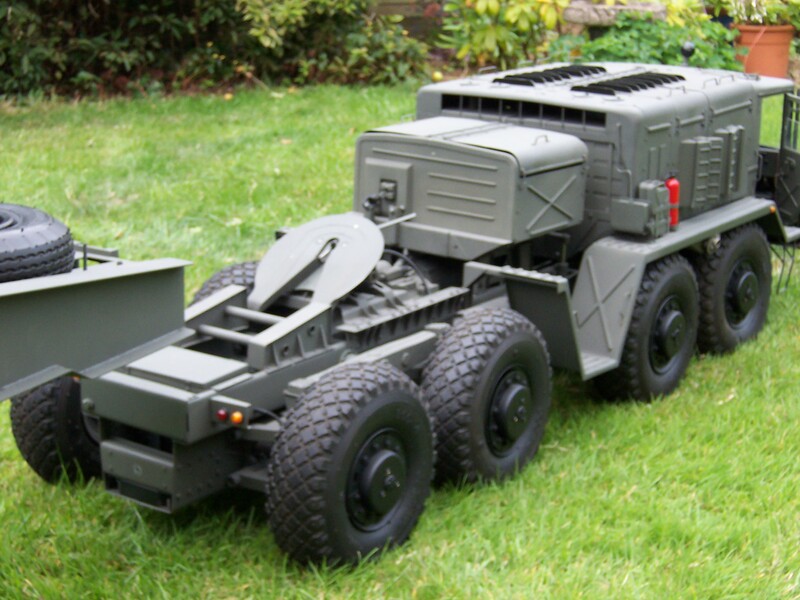 Fully working radio controlled with powered winch, detailed cabin interior, lights, opening doors, hatches and storage compartment in trailer. 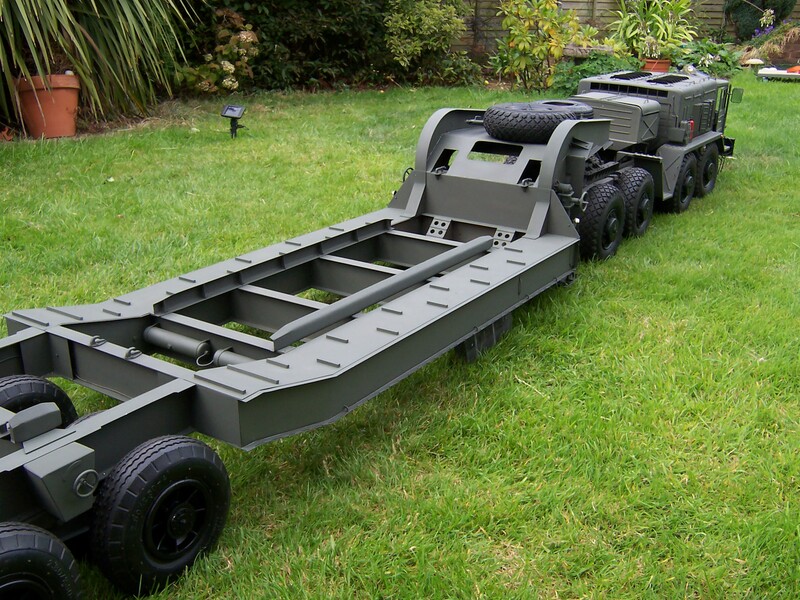 The trailer has operational ramps, locking in transport position, loading guide plates, spare wheels and lifting crane. Moveable support jacks hold the trailer when detached from the tractor. With the loading ramps lowered the model measures 4m in length. Finished in a relatively as new condition is crying out to be knocked around, rusting and covered in mud or sand which may or may not suit the new owner as it is now finished and up for sale.